Gutter Helmet® of North Florida is a family owned and operated gutter and gutter protection sales and service company serving Northeast Florida and Southeast Georgia. We are a proud recipient of the Angie’s List Super Service Award, a recognition given to only 5% of all contractors nationwide. 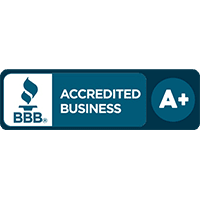 We also hold an ‘A’ rating with the Better Business Bureau and have a consistent track record of excellence throughout our service area. The Gutter Helmet® of North Florida team boasts over 150 years of combined home improvement experience. We use only the highest quality materials and employ knowledgeable and experienced factory-certified Gutter Helmet® installers. We do not use subcontractors because we care about complete quality control in every phase of our projects. 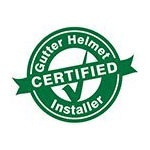 From the moment the initial call is made to the time the warranty is handed over, the Gutter Helmet® experience is one of quality customer service. Each sales rep is courteous and will provide a detailed printed price sheet for cost calculations so there are never any questions as to whether the customer is being treated fairly or otherwise. Once a contract is signed detailing the work to be done, our installers come on board. The Lead Installer will conduct a walk-through with the customer to make sure everything is properly detailed and understood. The work then commences and will not be complete until the homeowner has approved the results and the grounds are thoroughly cleared of debris. That’s the Gutter Helmet® experience: professional, worry-free customer care. Call our office today at (800) 824-3772 for more information or to get a free, no-obligation estimate. You can also fill out our online form to schedule a visit from one of our sales reps. We look forward to hearing from you!